Lauren Metzger could not run in the 5000-meter race at the 2010 North Coast Athletic Conference Track & Field Championship, a two-day event held at Ohio Wesleyan University. The race was scheduled for Saturday, the same day she needed to present results of her honors studies in psychology at a conference in Chicago. 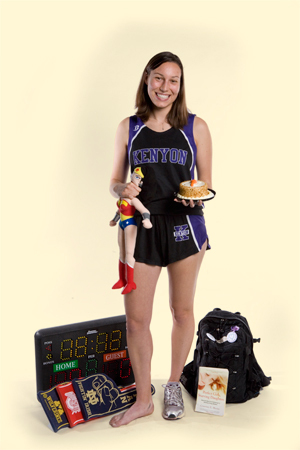 Bypassing her specialty, Metzger instead pulled double duty and ran the 10,000-meter race, which was slated for Friday. Although the length was outside of her racing realm, Metzger clocked in with a second-place time of 40:28.94. After that, it was off to Chicago.